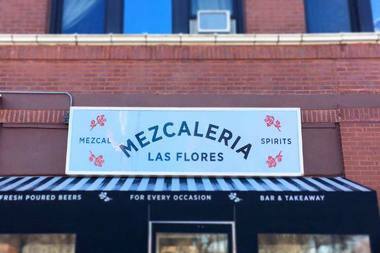 Mezcaleria Las Flores opens Monday in Logan Square in the former Flower Shop Bar. LOGAN SQUARE — What was formerly the Flower Shop Bar alongside Johnny's Grill will re-open as a mezcal bar Monday. The Flower Shop Bar closed temporarily after about six months of operation as a sort of sister business to the revamped Johnny's Grill last week, to undergo renovations for Mezcaleria Las Flores. 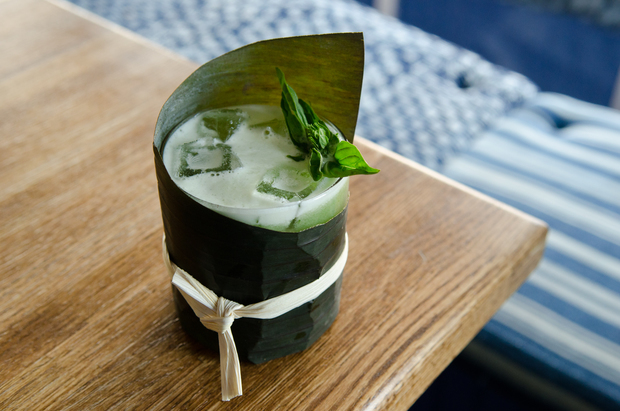 The biggest difference in the new bar, which opens Monday, is the cocktail list, which was created by Jay Schroeder, the former bar director for Rick Bayless. The much-expanded drink menu follows the neighborhood bar trend of complex cocktails and includes eight cocktails for $10 each with names such as Baseworld Paradise and Shook Ones Part I, referencing rappers Lil B and hip hop duo Mobb Deep. The cocktail menu is heavy on agave-based spirits and gives customers a description of not only what's in each drink, but of three descriptor — how spirit-forward, how smoky and how adventurous each drink is — on a sliding scale. Mezcaleria Las Flores pays homage to Fleur, the former flower shop in the storefront next to the original Johnny's Grill, as did the previous bar the Flower Shop Bar, 3149 W. Logan Blvd. The bar will be open from 5 p.m.-2 a.m. Sundays-Fridays and until 3 a.m. on Saturdays. Schroeder plans on hosting agave spirits seminars and tastings at the new bar. Johnny's Grill reopened along with the Flower Shop Bar under new ownership in July more than a year after the original diner closed.